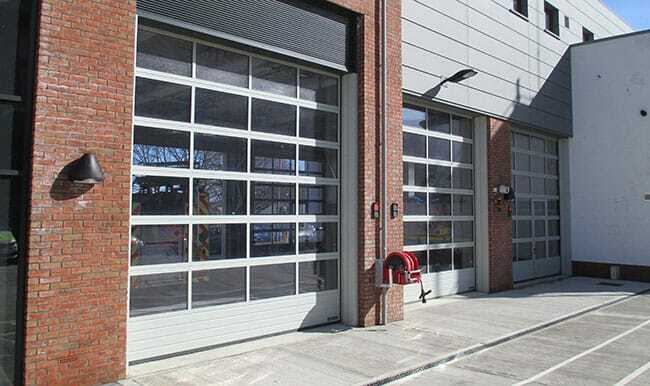 Sectional overhead doors are fully vertical or horizontal opening operation dependent on head height above the door. Constructed from foam insulated panels, for significant noise reduction and insulation against heat loss, this type of door has the added advantage of being able to accommodate a number of vision panels if natural light is required. Manually or electrically operated and available in a choice of 16 standard Plastisol HP2000 colours. This design of door is considered to be the most user-friendly and environmentally attractive.